Hey there, Verve Stamps fans! I'm up on the Viva la Verve sketches blog today with a new sketch! Go check it out! 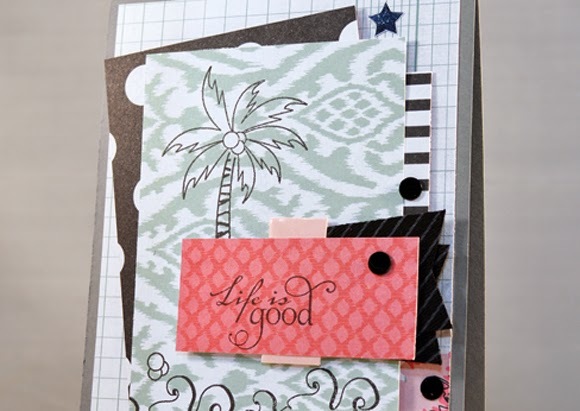 I used lots of yummy Heidi Swapp paper and Verve's fabulous Relax stamp set to create a summer-themed card! Teachers love summer, you know?! cute card I really like the layout!! Fabulous! 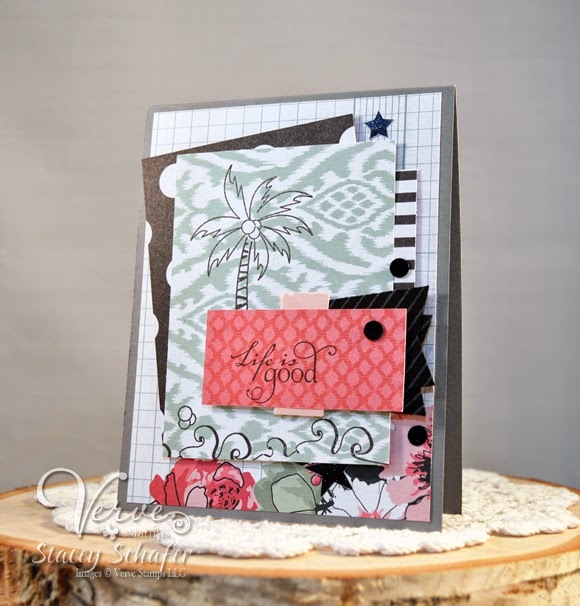 I love the tropical look - but very muted and elegant - that you have created. I hope life IS good for you on this holiday weekend. Just gorgeous, Stacey! Love the mix of papers!